Imagine being able to fly. Walk through walls. Shape-shift. Breathe underwater. Conjure loved ones - or total strangers - out of thin air. Imagine experiencing your nighttime dreams with the same awareness you possess right now - fully functioning memory, imagination, and self-awareness. Imagine being able to use this power to be more creative, solve problems, and discover a deep sense of well-being. Lucid dreaming: it's when you suddenly realize that you are dreaming... and then sustain that wide-awake clarity while in a dream state. For millenia, it's been used by ordinary people and advanced meditators for practical insights, self-discovery, and delving into the architecture of reality itself. Here, the pioneer of scientific lucid-dream research offers two guided sessions, one to play in the daytime and one to play at night before sleep. These are the same conditoning programs used to help and train hundreds of "oneironauts" (volunteer lucid-dream subjects) at Stanford University and the Lucidity Institute. Albert Einstein once revealed that the inspiration for his theory of relativity came to him in a dream. With this program, you can learn how to navigate your own dreams and bring back their gifts of healing, self-understanding, and creative inspiration. Preparing to Die is for anyone interested in learning how to prepare for death from a Buddhist perspective, both spiritually and practically. It is also for those who want to learn how to help someone else who is dying, both during the time of illness and death as well as after death. Aimed at beginners, Lucid Dreaming, Plain and Simple shows the listener how to enter and fully experience the lucid dreaming. Among the amazing things Waggoner and McCready teach listeners are how to: consciously decide what actions to perform. Narrated by: Stephen LaBerge Ph.D. Explore the last frontier, your inner space! Lucid dreaming - the ability to be "awake" when you dream - is a breakthrough that has been hailed as the first major advance in dream research since Freud. 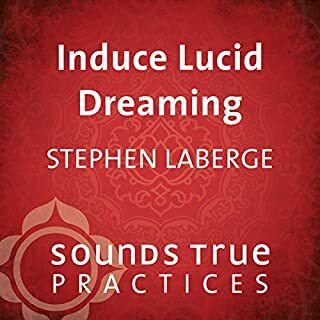 This audio piece by Stephen LaBerge, the most prominent researcher in the field, will teach you this exciting skill, so that you can overcome fears and nightmare anxieties, learn to apply insights gained in your dreams to your waking life, and more. Each night you touch into the possibility of enlightenment. With Dream Yoga you will emerge from the darkness of ignorance into the luminous experience of awakening—in every moment, day or night. Andrew Holecek was great at condensing profound Vajrayana insights and fusing them with Western lucid dreaming practice. You do not need prior Buddhist, meditative, nor lucid dream experiences to apply what he teaches in this book. He also does a good job of continuously re-emphasizing core teachings in a subtle way. However, to those with substantial prior experience in any of the above mentioned traditions: you might find this book to be too shallow. 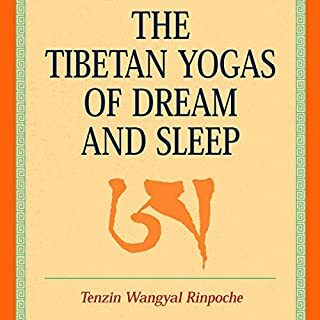 Instead, I would recommend Tenzin Wangyal Rinpoche's The Tibetan Yogas of Dream and Sleep. Andrew also has a great, but sometimes unbearably slow voice. You might find that 1.25x speed will be more appropriate. 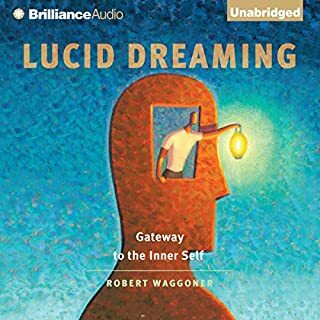 I was browsing audible one day for mindfulness related titles and came across some titles related to lucid dreaming. I didn't know what lucid dreaming was so curiously I read some book summaries and googled it. It seemed a brand new and interesting topic after looking for books on lucid dreaming I decided on this one. I decided that I would wait to review this book until I have practiced the principles outlined in the book as its a how-to-book and not just a story. If I would have rated it right away I would have also rated it a high score based on performance and story applied to the topic. So its been about 15 days since I've finished the book. Keep in mind I have had no practice in lucid dreaming, never tried lucid dreaming practices, or had prior knowledge on the subject. 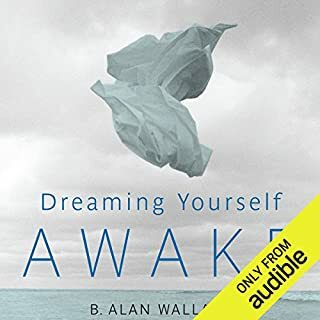 By casually following the principles/strategies in this book I immediately started having great dream recall just by being more conscious of trying to remember the dreams. He recommends a supplement for recall that wasn't necessary for me. I have had multiple lucid dreams which are really cool they don't last long and I'm sure they will last longer with more in practice. I seem to get lucky and automatically wake up before my last sleep cycle of the night at that time I practice the visualization practice of the red lotus mentioned on the way back to sleep which seems to really trigger these dreams. If you want a single book that works this book works. The book starts out slow, but really picks up in chapter 4. 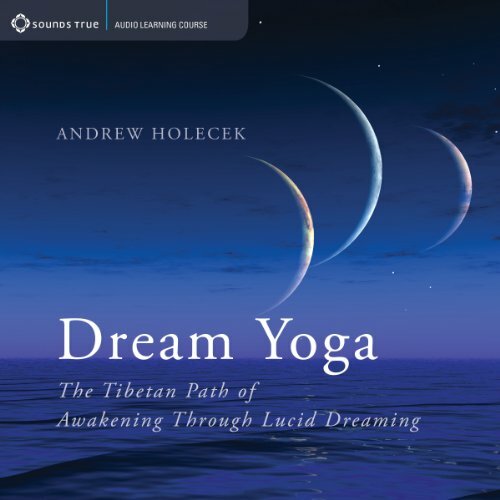 Andrew Holecek is my favorite speaker on Dream Yoga and I'll be purchasing all of his future works. 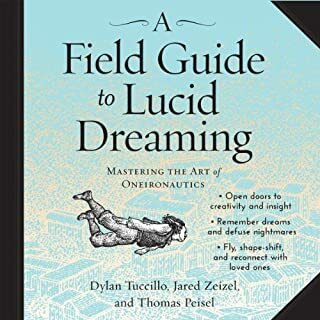 This is the best book on lucid dreaming I have found. Full of beautiful insights on reality vs. dreams. Some of the buddhist themes may be a little hard to follow at first, especially if you're unfamiliar with eastern philosophy, but once the ideas mature in your head you see how nicely they fit in. Provided is Andrew Holecek fabulous course on dream yoga! The words are profound proceeding from decades of practice and experience. The narration is warm and gentle, unpretentious tea in the breakfast nook of a master teacher. Gratitude for dedicated educators on the path!! If you could sum up Dream Yoga in three words, what would they be? Andrew Holecek covers everything imaginable to give you a strong foundation on which to build your dream yoga practice. His voice is calm and steady, so it's really easy to listen to at night, to be reminded of some of the practices just as you're falling asleep. What insight do you think you’ll apply from Dream Yoga? There are many insights that I apply to my practice, such as sleep posture, jumping, having cards around the house to pick up and read to do a state check. This is the best program on lucid dreaming and dream yoga that I've had the pleasure of listening to. Well done! Great narrator for subject. Need repeated listening to get the most out of subject, will be easy as well! The immediate benefit is Andrew’s narration, which is conversational in tone, giving room between words and phrases, allowing the listener time to pleasurably comprehend. Here is a thoroughly experienced explorer of the inner and outer realms. A joy to study. Andrew’s commentary on spiritual development is light-hearted, playful and transparent. As a multiple decade meditator, I gained fresh ways to understand and benefit from the dream and waking states. As anyone who's done a lot of work on themselves knows, ego is the ultimate control freak. As such, many parts of this book will frighten, but the underlying benefit of having control over the dream state and mind is something the ego can get behind. An amazing book about awakening! Would you consider the audio edition of Dream Yoga to be better than the print version? I've never read the book. I only listened to the audio version and it was fantastic! What was one of the most memorable moments of Dream Yoga? The practice of meditation, lucid dreaming and illusory form were great! I had been doing this for some time before finding this book and I was pleased to find confirmation of my experiences in it. What about Andrew Holecek’s performance did you like? He was very good at explaining very subtle concepts. The idea that your waking life is just another dream to wake up from. I am very pleased with my purchase and just finished listening. I am starting it over cause theres so many great insights to glean. Andrew is a brilliant teacher. I thoroughly enjoyed listening to his teaching. What did you like most about Dream Yoga? I personally found the subject matter really interesting and Andrew Holecek's enthusiastic, practical personality makes it engaging and humorous. Which character – as performed by Andrew Holecek – was your favourite? This does get pretty deep, but anyone with an interest in buddhism or spirituality, and what happens when they go to sleep should definitely get involved. Brilliant. Loved it. I admit I am going to listen to it all over again. Just to be sure I get it. Thank you Andrew. I began seeking inspiration to practice the Art of Lucid Dreaming, I know have that plus I have been employing Buddhist techniques to enrich my practice with more structure towards a meaningful approach. 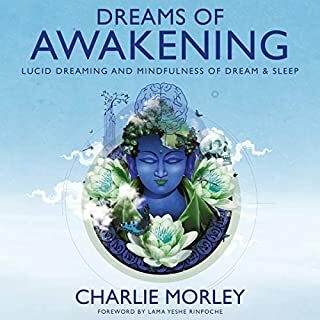 Lucid Dreams on there own are amazing tools to probe for understanding and play but the additional Buddhist methods have enabled me to go even deeper into self where a profound duty seeks its balance. The author is witty and clear spoken. It almost feels like a face to face sitting. I like the quoted Carl Jung and all the Buddha’s. I look forward to further additions. is like that. Plus it it easy to listen to and comprehend. The exercises are fun and the meditation included is very helpful and useful. I highly recommend this to anyone who is serious and ready to dream. I enjoyed the book!